The TCM Department of Beijing Puhua International Hospital offers many traditional and modified methods of treatment. 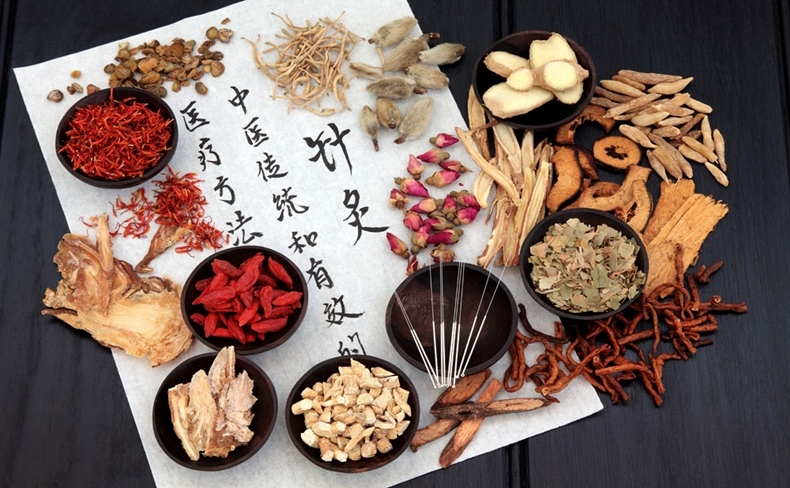 Traditional Chinese Medicine (TCM) is a wellness discipline based upon the research of human physiology, pathology, disease diagnosis, as well as prevention and cure. It is a theoretical medical theory which gradually developed through medical practice, and observation, over the past 3000 years. TCM, which is now often being also known today by the much broader term, “trans-cultural medicine,” is based upon a theory of balance (yin-yang) and of five ‘elements,’ and takes the human body as a whole thing comprised of air, shape, and spirit. To know the name of disease and identify the types of symptoms, TCM explores the cause, nature, location of a disease, and analyzes causes and the change of what it calls the five ‘zang’ organs and six ‘fu’ organs, various meridians and joints, the ‘qi,’ the blood and the bodily fluids by several methods, including: 1) observation;2) auscultation; 3) olfaction; 4) inquiry; 5)feeling of pulse, and, 6) palpation. Using traditional Chinese medicines, acupuncture and moxibustion, manipulation, massage, cupping, qigong, food therapy, and other techniques, TCM strives to foster each human’s recovery by means (re-)establishing the balance and harmony between the body’s Yin and Yang. Traditional Chinese treatment is based in natural healing, and is thus well ahead of the Hippocratic Oath of “First do no harm.” It stresses on the therapy of prevention and healthcare so as to achieve balance between Yin and Yang. Also, it strives to give consideration to the quality of both lives and livelihoods when using medicine to moderate the progression of disease. Since 1996, TCM has achieved staged development and gradually has found traction worldwide, including: the United Kingdom, Germany, the United States, Canada, Malaysia, and Thailand. Because of the significant interest in alternatives to industrialized medicine, and its (side-) effects, a growing number of international patients come to TCM clinics with each passing year. The TCM Department at BPIH has, for many years, carried forward the medical legacy of our motherland, while absorbing strong points of other systems, while upholding moral laws and integrity. To provide patients with timely and effective, safe and convenient, warm and considerate, reasonably priced, skillful and personalized medical services, the practical result combines the treatment methods of TCM (Chinese herbal medicine, acupuncture, acusector, warming acupuncture, auricular acupuncture, fire needling, blood-letting puncture and moxibustion, cupping, acupressure, scraping therapy, hot compress, TuiNa, rehabilitation training, breathing exercise etc.) with other, and often contemporary, diagnostic methods and opinions. “Using medication is equal to using military forces” is a practical practice philosophy of TCM at Beijing Puhua International Hospital. One should know not only the properties of drugs, but also hit broader pathogenesis, targets of therapy, to efficiently achieve the purposes of healing and wellness. Many of TCM lie in the tactics, logistics and strategy of dealing with disease as a kind of foe or adversary: one to be outsmarted in the battle for health. As an important role of TCM, Chinese herbal medicine can be applied externally and internally in terms of various diseases. Acupuncture and moxibustion are unique methods of treating disease, which treat internal illness by external treatment. One first find the pathogenesis, key factors, and nature of the disease to make sure which organs this disease belongs to according to TCM criteria. These methods can have significant effects on many diseases and disorders. 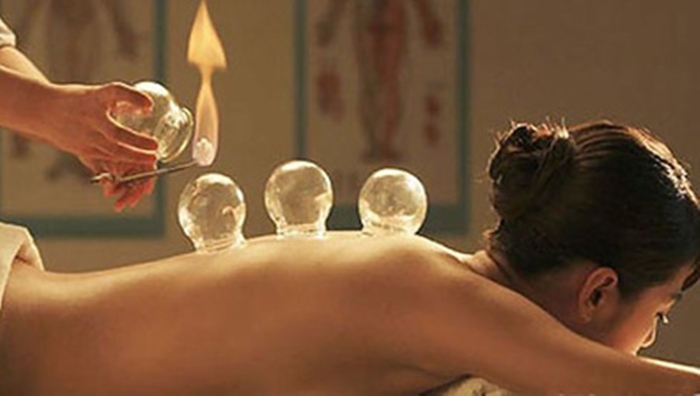 Cupping therapy is an important part of non-drug therapy in TCM, with a history of thousands of years. Under the action of negative pressure, this therapy “dredges meridians,’ promotes blood circulation, remove blood stasis, detoxifies and oxygenates by mechanical effects of dragging and pressing. It is thought to have the ability to offer significant effects on systemic disease, respiratory system disease, circulation system disease, digestive system disease, and others. TuiNa is a treatment method, by which the physician apply his hands to the body surface, in proximity to the patients’ injuries using multiple techniques (pushing, holding, pressing, friction, rubbing, kneading, dotting and patting, in order to ‘dredge meridians’ and relieve pain. 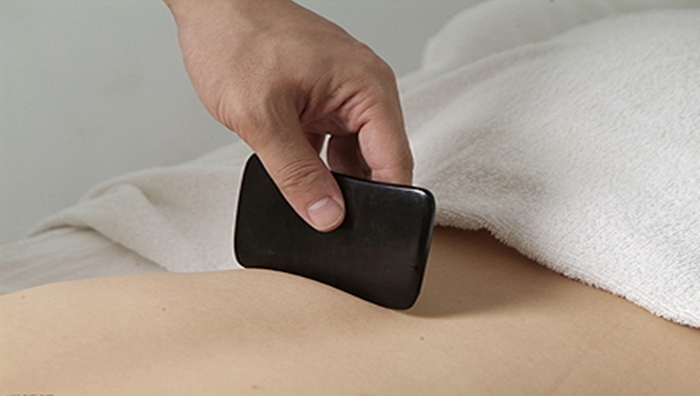 Scraping therapy is guided by the theory of meridians and acu-points, and in-so-doing scrapes and rubs the body surface again and again using special instruments and methods. This therapy can adjust the contraction and tension of muscle, which may adjust the pressure between tissues and improve blood flow. This method has both practical and theoretical foundations for healing. Hot compress is uncomplicated to use when wisely applied, and can have various positive effects on cervical spondylosis, chronic pains, and infertility. Dr. Sophia Liu is a TCM physician who graduated from Chengdu University of Traditional Chinese Medicine. During her clinical teaching at the Traditional Chinese Medical College of America, she gained the NCCAOM　certification of National Acupuncture and Traditional Chinese Medicine, and acquired acupuncture licenses from California and New York (with honors). She was professor and clinical supervisor in Pacific College of Oriental Medicine and University of East-West Medicine. She has engaged in medical research and clinical practice for 31 years, and has achieved solid acupuncture and integrative clinical practice skills. 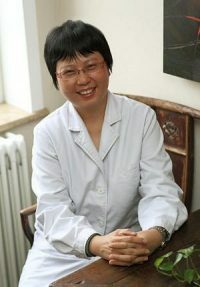 She has rich clinical experience and has made great contribution for the development of TCM abroad. She is especially good at TCM treatment applied post-neurosurgery, and for: neurological diseases; infertility; malignant tumors; chronic pains; gynecological diseases; and many others. 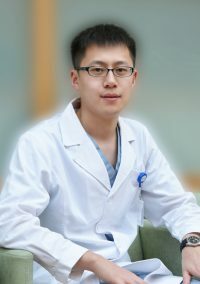 Majoring in traditional Chinese medicine, Dr. Guan graduated from the Medical College of Yang Zhou University and received his Masters from the Nanjing University of Chinese Medicine. With more than thirty years experience of TCM practice, he is a member of the Chinese Medical Doctor Association and also the chief expert of Beijing Walsonle Technology Center. Additionally, he has worked under many famous and respected doctors of TCM and created “the clearing minds and removing diseases in three steps for a wholesome life” methodology. Dr. Guan has gained professional training in internal Chinese medicine, gynecology, pediatrics, trauma, acupuncture, massage, and orthopedics, etc. He is able to treat different kinds of diseases caused by biochemistry, community, psychology and accidents through TCM. Dr. Allen Gao is a TCM physician who graduated from Liaoning University of Traditional Chinese Medicine. He studied under Professor Ligong Xue who is known for his meridian-tendon diseases research at the Acupuncture Institute of the Chinese Academy of Sciences and the London Application Technology Research Institute. He has used meridian-tendon clinical research extensively, and has in-depth research and treatment experience in the mechanisms and treatment of pain, as well as muscle diseases. He also has rich clinical experience using acupuncture to many kinds of neurological disease, intervertebral disc herniation, diabetes and chronic pain. Dr. Allen Gao employs the specialties of TCM and combines them with more contemporary Western medicines and methods. He has excellent repute in the treatment of neurological and spinal diseases. < a href=” “>Fill out my Wufoo form!